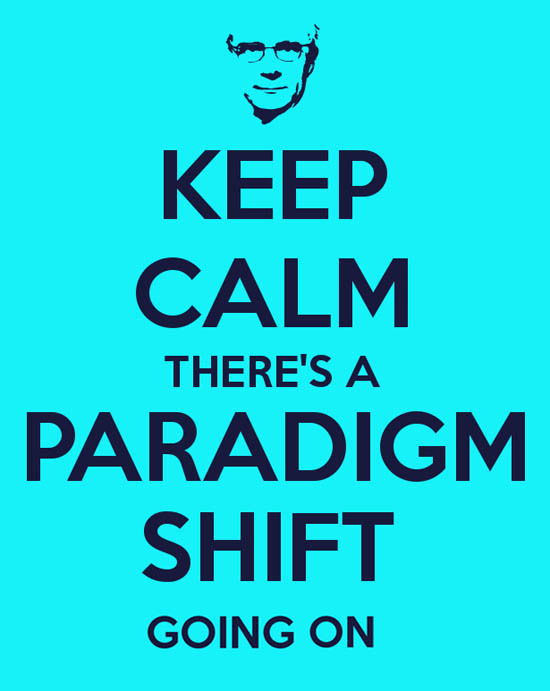 In 1962 Thomas Kuhn wrote The Structure of Scientific revolutions, and fathered, defined and popularized the concept of “paradigm shift” a scientific advancement is not evolutionary, but rather is a “series of peaceful interludes punctuated by intellectually violent revolutions”, and in those revolutions “one conceptual world view is replaced by another”. 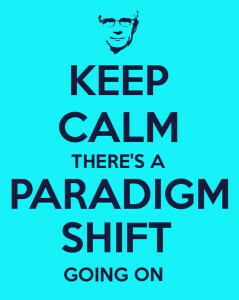 Think of a Paradigm Shift as a change from one way of thinking to another. It’s a revolution, a transformation, a sort of metamorphosis. It just does not happen, but rather it is driven by agents of change. As a nation we’re experiencing a multitude of paradigm shifts at the same time (all at warp speed), as older populations influence and power decline, it’s quickly being replaced by a younger more diverse culture and advancing technologies. The realities of these demographic and technological shifts are influencing the consumer at all levels; governmental, regulatory, business and cultural. Our society and culture are reflecting this new understanding, not with fear but optimism. Companies that embrace this paradigm shift are seeing successful returns both long and short term. Companies that failed to embrace or understand this shift are already feeling the effects; your organization may already be to seeing its value diminishing. Several years ago, the associates at GSF Remarketing embraced these shifts and transformed our company in all areas. We moved away from the top down auto remarketing status quo of yesterday, the days of building inventories, auction contracts with national chains, passing on high fees and having little concern or regard for the people being affected in the remarketing process. GSF has embraced a new paradigm! Using a web-based platform, hiring local vendor’s agents/services, moving units to the nearest auctions and charging a flat rate, this not only saves your company money and time, but allows your customer going through the remarketing process more options. Our process not only raises your standing within the community but brings your remarketing processes into compliance with the CFPB and all regulating authorities. Embracing this new reality, not only helps your company building long-term relationships with minority, women and LGBT vendors, but shows your organization commitments to the future of America.